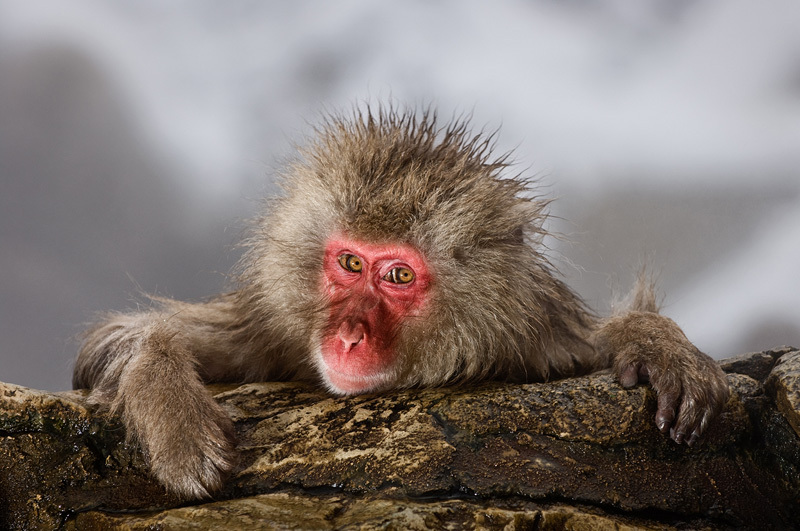 This Japanese macaque (Macaca fuscata) was sleeping on the edge of a natural hot spring when I decided to take to photograph of it. I used a flash and when it went off it woke up the macaque. It briefly looked at me to see what I was doing and then went back to sleep again.